Assessee had provided a corporate guarantee on behalf of its associated enterprise M/s. Thomas Cook Mauritius Operations Co. Ltd. for banking facilities availed by it from HSBC bank to the extent of Rs.6,01,80,000/-. Transfer Pricing Officer was of the view that in the absence of any guarantee fee commission earned by the assessee from such transaction& thus for ALP the rate of 3% was taken to determine the arm’s length rate of the international transaction of provision of corporate guarantee on behalf of the associated enterprise. The above rate taken was rejected by ITAT & rate of 0.50% is approved & ITAT also allowed depreciation on Printer, Scanners, Switches, routers @ 60% as against 15% charged by AO. transaction, the same could not be said to have been recorded at an arm’s length price. The Transfer Pricing Officer referred to the information gathered from Allahabad Bank and the State Bank of India with respect to the rate of guarantee commission fee and accordingly determined a rate of 3%, that was liable to be charged as an arm’s length rate as guarantee commission fee. The assessee has primarily argued that the rate of 3% adopted by the income-tax authorities in order to determine the arm’s length rate of the impugned international transaction was untenable and instead pointed out that in the following decisions of the Tribunal rate of 0.50% has been considered to be arm’s length rate on account of fee for providing corporate guarantee. M/s.Everest Kento Cylinders Ltd. vs. DCIT,ITA No.542/Mum/2012 order dated 23/11/2012. ACIT vs. Nimbus Communications Ltd., ITA No.3664/Mum/2010 dated 12/06/2013. Departmental Representative has pointed out that the rate of 0.50% being canvassed by the assessee is not an absolute situation, inasmuch as, in certain other decisions of the Tribunal adjustment on account of guarantee commission fee has been approved even @ 3%. In this connection attention has been invited to the decision of the Tribunal in ITA NO.6394/Mum/2012 dated 21/08/2013, wherein rate of 3% has been approved. Our attention was also invited to the decision of the Tribunal in the case of Technocraft Industries (India) Ltd., vs. Addl. CIT, in ITA Nos.7519& 7990/Mum/2011 dated 8/01/2014, wherein rate of 2.08% has been approved. 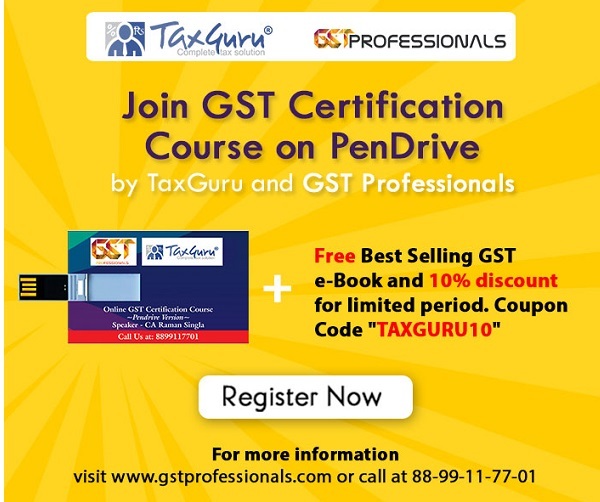 Be that as it may, the only dispute that the assessee has contested before us relates to the application of the rate of 3% take by the Transfer Pricing Officer to determine the arm’s length rate of the international transaction of provision of corporate guarantee on behalf of the associated enterprise. Therefore, we confine ourselves to examine the veracity of the arm’s length rate adopted by the income-tax authorities. In the present case, assessee company issued corporate guarantee on behalf of the it’s associated enterprise which enabled it’s associated enterprise to avail banking facilities from HSBC Bank in Mauritius. The Hon’ble Bombay High Court in the case of Everest Kento Cylinders Ltd.(supra) was considering a somewhat similar situation, where in the matter of guarantee commission fee the adjustment made by the income-tax authorities was based on instances of commercial banks providing The Hon’ble Bombay High Court has explained that instances of commercial banks providing guarantees could not be compared to instances of issuance of corporate guarantee. As per Hon’ble Bombay High Court, when commercial banks issue bank guarantees, the same is quite distinct in character, than the situation where a corporate issues guarantee to the effect that, if a subsidiary associated enterprise does not repay a loan, the same would be made good by such corporate. Keeping the said ratio of the Hon’ble Bombay High Court in mind, it is quite clear that the manner in which the Transfer Pricing Officer has proceeded to determine the arm’s length rate based on the probable rate being charged by the commercial banks is not justified. In this view of the matter, we are unable to approve 3% rate of guarantee commission fee determined as arm’s length rate by the income-tax authorities. In the alternative, the addition that is required to be sustained is the position canvassed by the assessee before the Transfer Pricing Officer i.e. adoption of 0.50% as arm’s length rate for the purpose of determining the arm’s length income on account of guarantee commission fee in the present case. The Ld. Departmental Representative had referred to certain decisions of the Mumbai Tribunal, wherein a rate higher than 0.50% has also been approved in order to determine the guarantee commission fee. All those decisions are based on the probable rates at which the guarantees are issued by the commercial banks, and in view of the judgment of Hon’ble Bombay High Court in the case of Everest Kento Cylinders Ltd.(supra), such an approach cannot be upheld since the instant is a case, where a corporate guarantee has been issued by holding company for the benefits of its step-down subsidiary associated enterprise. Considering the entirety of facts and circumstances of the case and on the basis of the material available on record, we, therefore, proceed to uphold the rate of 0.50% for the purpose of determining the arm’s length rate of the guarantee commission fee. In this view of the matter, we set-aside the order of CIT(Appeals) and direct the Assessing Officer to determine the addition in view of our aforesaid direction. Thus, on this aspect assessee partly succeeds. The next ground is with regard to the disallowance of the claim of depreciation of Rs.1,86,692/- on Jodhpur property. On this point also, it was a common point between the parties that similar issue has been decided against the assessee for assessment year 2007-08 vide order dated 30/09/2015(supra) by following earlier decision of the Tribunal for assessment year 2006-07 in ITA No.9156/mum/2010 dated 31/12/2013. Consequently, the Ground of appeal No.3, raised by the assessee is dismissed. In the result, the appeal of the assessee is partly allowed.